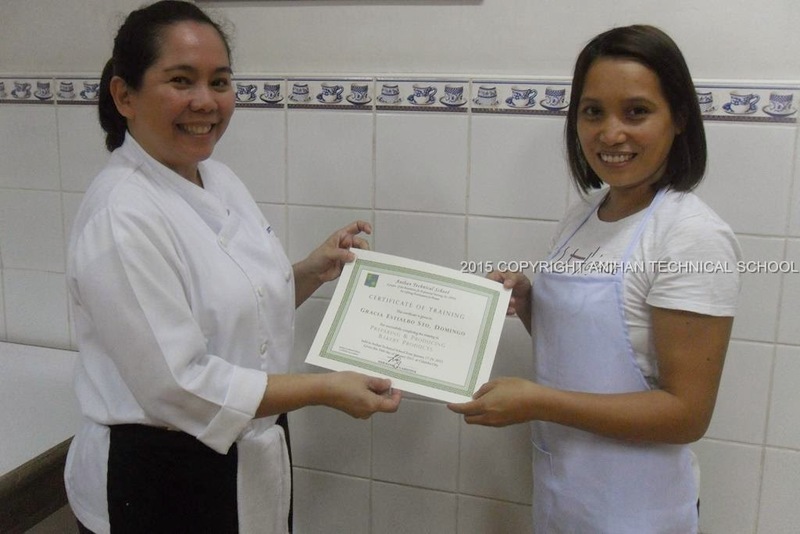 Anihan's Short Course in Bread and Pastry for the first quarter of 2015 is on a roll. Participants will be attending the third day of the six-day short course tomorrow, 31 January. 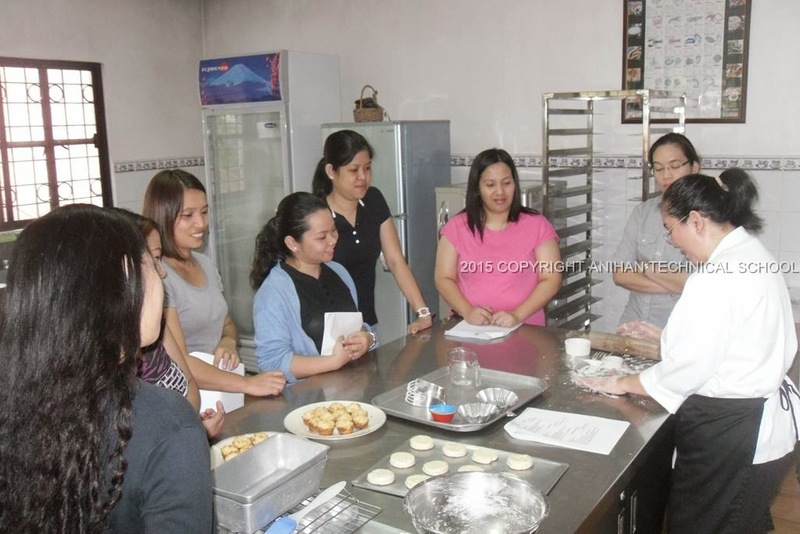 Participants learned about baking principles and ingredients on the first day. Afterwards, they already had a hands-on session on how to bake banana bread, muffins, and biscuits. 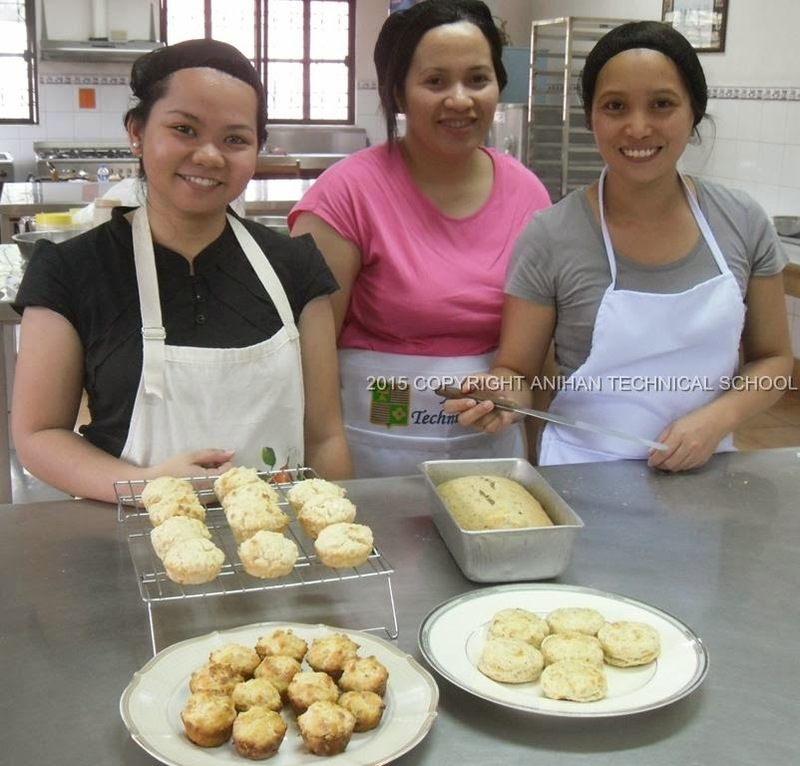 On the second day, the participants successfully produced pandesal, cinnamon roll, soft roll, raisin bread, and pizza. Tomorrow will be another full day filled with goodies like brownies, chocolate chip cookies, jam thumbprints, buko pie, mango pie, and empanada. Since each day consists of a stand-alone program, a certificate can be issued at any time. Gracie finished the first two days and received her certificate. She is set to leave for abroad very soon. 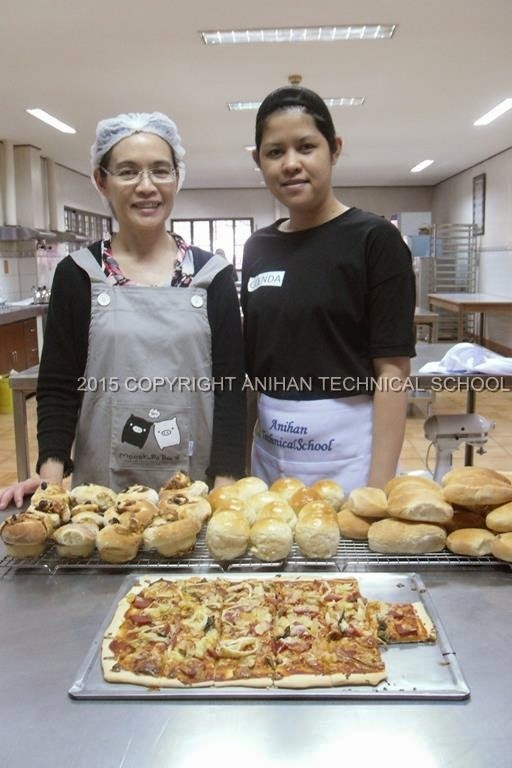 Anihan's Short Course in Bread and Pastry is designed in such a way that while attendance on all six days is highly recommended, each day consists of a stand-alone program so those who are interested can still enroll for the next sessions. Click this to see enrollment details. Hi do you have latest short courses?